This was always just a smidgeon too dark for me, but nothing a bit of blending couldn't sort out. Giving a really good amount of coverage with a very natural finish, this was one I wore on a daily basis for a long time when my skin was going through a particularly blemishy patch. It's a little heavy for my liking now so I wouldn't repurchase, but I am considering the Liz Earle skin tint which sounds delightful. This was nice, but I'm not sure it's worth the money when there are so many brilliant highstreet alternatives. But I am someone who is a little reluctant to invest in something I'll only use for a couple of months. I really enjoyed using this as a corrector before my under eye concealer and it really helped to cancel out my dark circles. It's a very light in texture so it didn't crease or settle into any fine lines. A really lovely product. This was really nice. I'm not sure I noticed a brightening effect or any evening out of skin tone, but it was a brilliant moisturiser and one of those really reliable products. Conscious Skincare is one of my favourite brands and this body butter was unbeatable over the colder months when my skin desperately needed its incredibly hydrating properties. One I would repurchase in time for next winter, but it's a little heavy for me at the moment. So, this just didn't do anything at all. Not for me. This, like the shampoo and conditioner in the range, is brilliant! I'm not one to spend much on hair care products, but I'm definitely considering purchasing the full size once I've made my way through some more things. It also smells incredible, pretty wonderful all round really. An incredibly effective cleanser for sponges and brushes alike. I wasn't really expecting to be impressed by this, but I really have been. I'm not sure I'd purchase the full size, but it's one of those things I'm glad I've been able to try. The beauty blender soap is something I don't really want to purchase the full size in, but the format is just so clever! I have used the Liz Earle skintint and can recommend - perfect for Summer too. I would like to try the beuty blender clearner but I haven't mustered the money to purchase it. Great reviews! 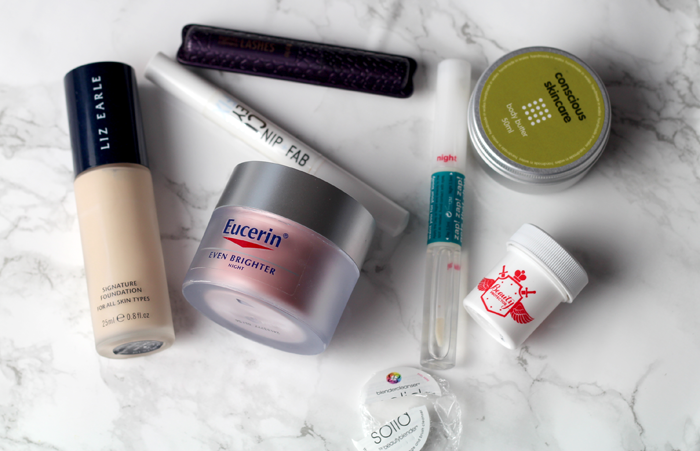 I'd like to try that CC eye cream. Great products! I also didn't get the hype about the Tarte mascara. I thought it was okay but didn't create crazy lashes! Would love if you check out my blog! 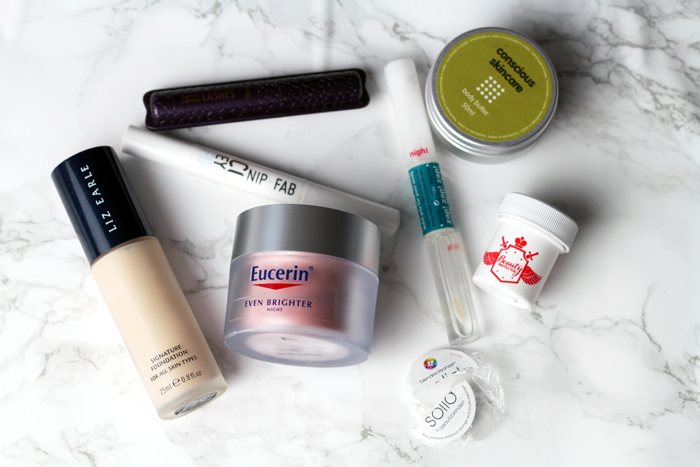 I just wrote an empties post too!